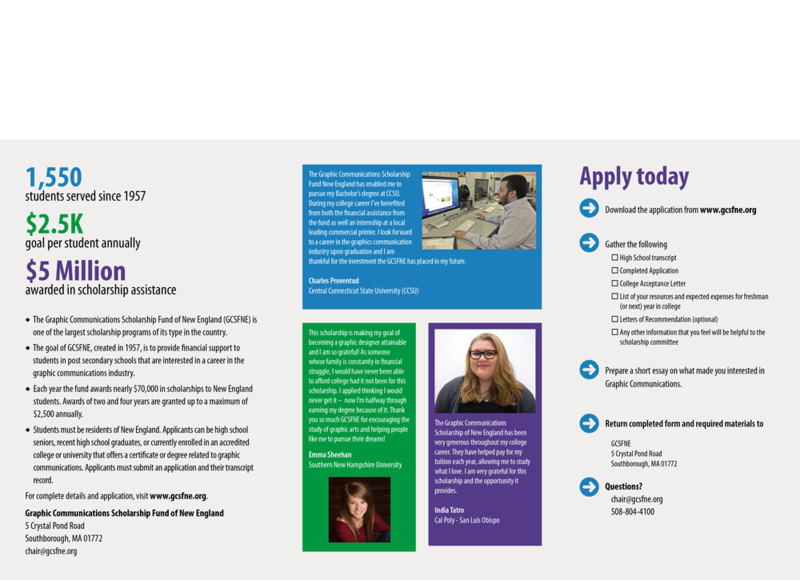 Promote the Graphic Communications Scholarship Fund of New England by hanging our poster in your workplace or classroom. Download and print your own copy or request one from us at chair@gcsfne@org. 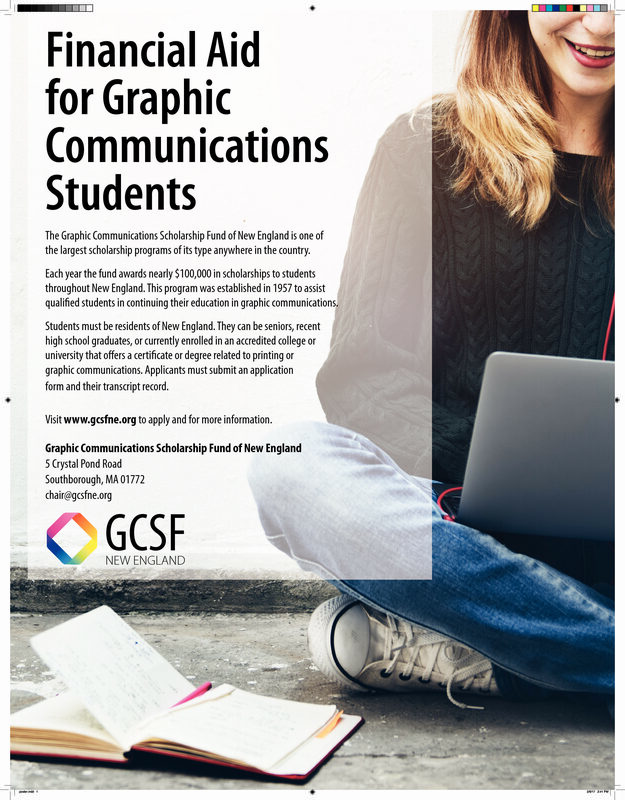 Spread the word to students about the Graphic Communications Scholarship Fund of New England by distributing our brochure. Download and print your own copies or request extras from us at chair@gcsfne@org. A number of other organizations have resources for students available. Printing Industries Press offers the widest selection of graphic arts titles in the industry. In addition to technical titles covering every aspect of the printing process, you will find economics, sales and marketing, and human relations information as well. Several types of resources are offered including primers, textbooks, training materials and how-to guides, and various downloadable products. The Print and Graphics Scholarship Foundation has partnered with Peak Focus to create the Harrison Assessment Career Navigation System to support you in finding a career that will best suit you. 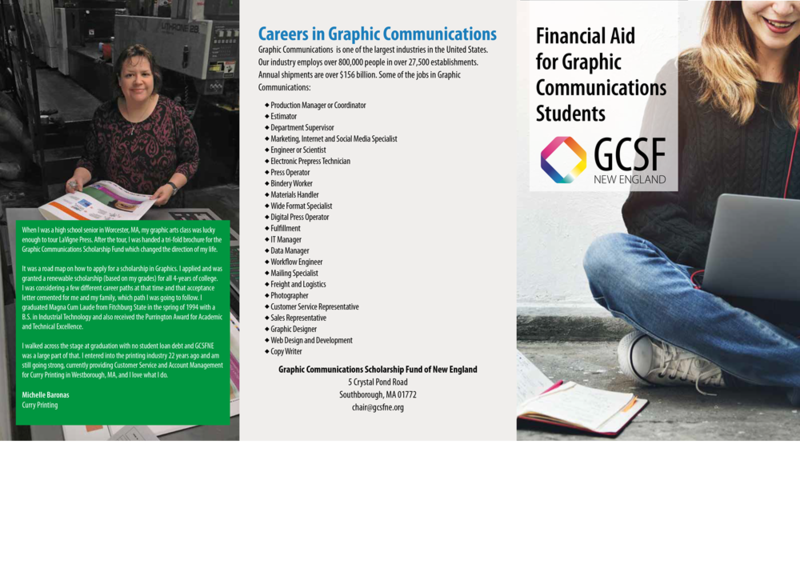 The Print and Graphics Scholarship Foundation developed a career guide for interested students which provides an overview of our industry as well as job descriptions.